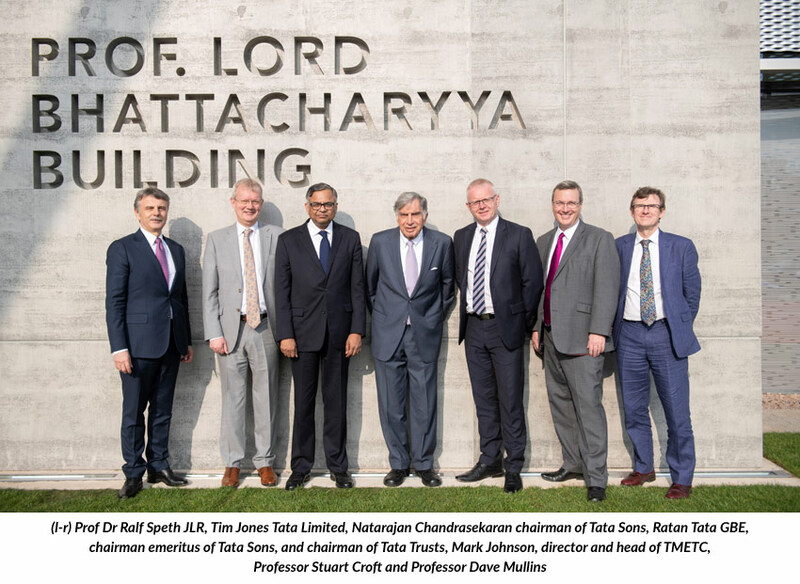 Tata Motors European Technical Centre (TMETC) has joined in paying tribute to Professor Lord Bhattacharyya following a memorial service in Coventry on Saturday (30th March). Heavily involved in the creation of TMETC in 2005, Lord Bhattacharyya was at the heart of establishing Tata Motors' UK-based centre of excellence for automotive design and engineering. The hour-long service at Coventry Cathedral brought together family, friends, as well as leading figures from business, politics and education to celebrate his life and achievements. Touching tributes were led by Miss Tina Bhattacharyya on behalf of the family. Following the service, guests visited the National Automotive Innovation Centre to witness the unveiling of a special plinth at what is now proudly named the Prof. Lord Bhattacharyya Building. Mark Johnson, Director and Head of Tata Motors European Technical Centre (TMETC), said: "It has been an emotional day for everyone at TMETC as we reflect on, and celebrate the life of Professor Lord Bhattacharyya. "The memorial was a fitting tribute to an important figure who did so much for the UK's automotive, engineering and manufacturing industries. "He also played an intrinsic part in Tata Motors' entry into the UK market, helping the brand become the international force within the automotive industry that it is today. It is fitting that we stand in front of the building that bears his name, in what will leave a lasting legacy to the region and the industry as a whole."